CityLife Milano is an ambitious commercial and residential development on Milan’s historic former trade fair grounds: the Fiera Milano. 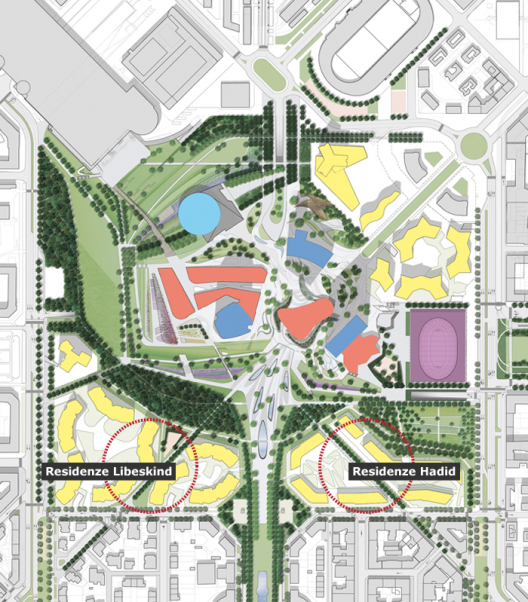 On the surface, over half of CityLife Milano will be covered with upwards of 168,000 square meters of landscaped parkland dedicated to pedestrians and bicycles. This lush, pedestrianized space will be centered around a grand new piazza - named ‘piazza delle tre torri’ - shaped by a trio of towers and surrounded by a cluster of residences, all designed by three world-renowned architects. 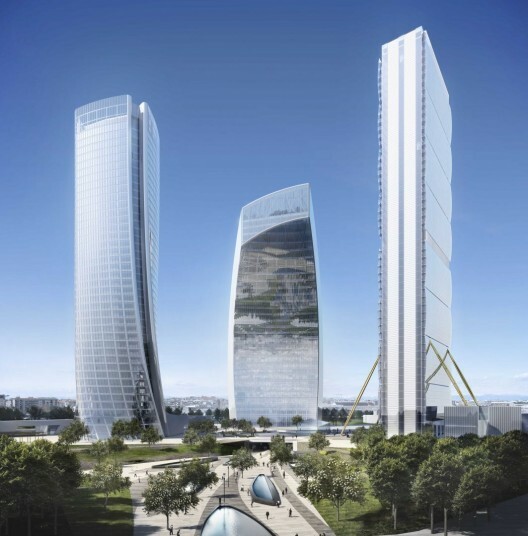 As previously mentioned, Arata Isozaki and Andrea Maffei has contributed the Isozaki Tower, which is planned to become the tallest skyscraper in Italy at 202 meters and will be built alongside the curved, 150 meter Libeskind Tower by – you guess it – Daniel Libeskind. 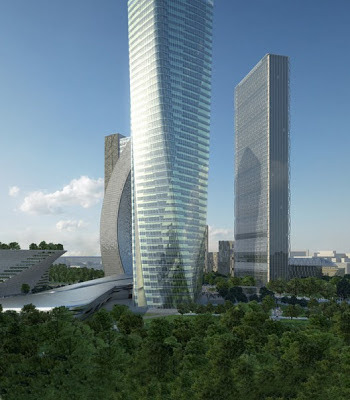 To complete the triad, Zaha Hadid has designed a twisting, glazed tower, which will rise 170 meters into the skyline.